The sub-national transport body (STB) for the Midlands has published what it calls a ‘bold, long-term vision’ to cut congestion on the region’s motorways, including a possible new strategic route linking the M5 and the M6. Midlands Connect’s Midlands Motorway Hub report, completed in collaboration with Highways England, puts forward 10 recommendations for ‘decongesting the heart of Britain’s motorway network’ over the next two decades. The report makes both short-term and long-term proposals to reduce congestion on the ‘Hub’, which spans key sections of the M42, M5 and M6. Short-term plans include measures to improve use of the underused M6 Toll while a key long-term recommendation is to consider in greater detail the economic case for a Western Strategic Route, linking the M5 and the M6. 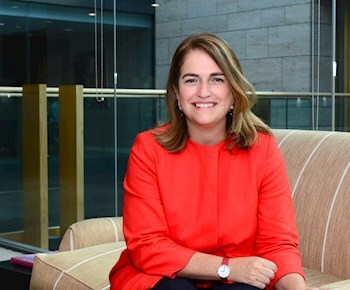 Maria Machancoses (pictured), director at Midlands Connect, said: ‘This long-term plan shows the Midlands needs a strategic solution for its road network, not a quick fix. Highways England network planning director Jeremy Bloom said: ‘We recognise that the network in the Midlands suffers from extensive congestion and agree that a vision for the future will help us to develop an investment strategy that solves the problems over the longer term. Midland Connect said its analysis found that delivering the report’s recommendations could unlock up to 50,000 new jobs at key locations near to the Hub and support the construction of 50,000 new homes. The report recommends improving time savings signage on the M6, which could help divert drivers onto the M6 Toll at peak times or during incidents. This could be delivered within the next two years. The STB said that of the recommendations for further study in the report, its early research suggests that a Western Strategic Route offers the biggest benefit for improving journey times and reducing variability ‘providing additional capacity, raising resilience and supporting economic growth’. It said data shows a such a route could shift around 20% of the traffic travelling through the region from the M6 in the North and M5 in the South away from the motorways. 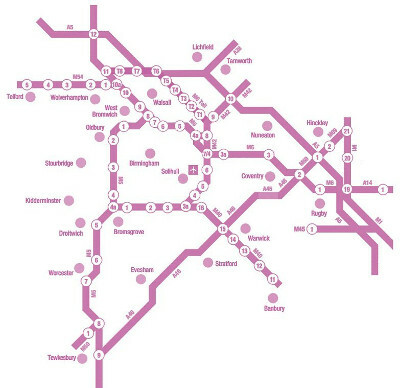 Midlands Connect said it is not yet considering any specific routes, but that further research this year will examine the economic and social benefits that could be realised. The report also suggests that new strategic Park & Ride sites could reduce short trips on the most congested part of the Hub. It also outlines a recommendation to test the potential for trialling HGV platooning in the Midlands. The STB will carry out more research this year on the prospect of trials, alongside other traffic management strategies such as freight-only lanes. Developing a smart motorway on the M6, M1 to Junction 2.